An ideal travel companion, the Personalized Grey Travel Kit makes a wonderful gift. This toiletry bag features a comfortable leather strap handle, a wide zipper opening, and is perfect for carrying all of your necessities. 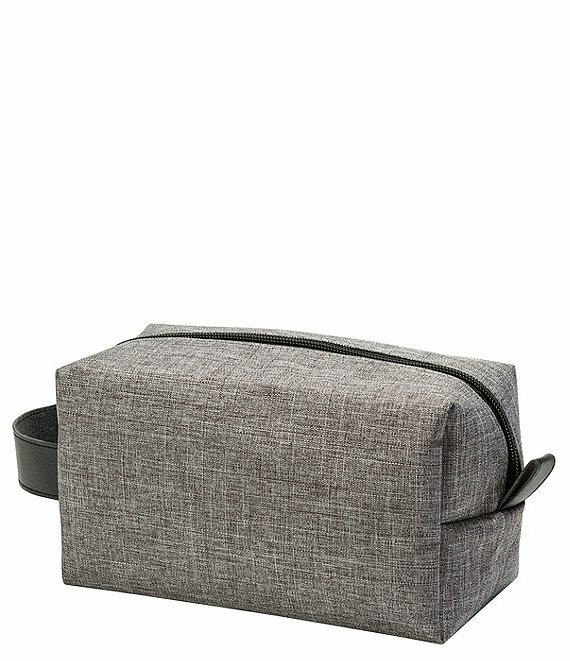 Great for grooming kits or toiletries, this handsome dopp kit will endure travel, vacations, and business trips.